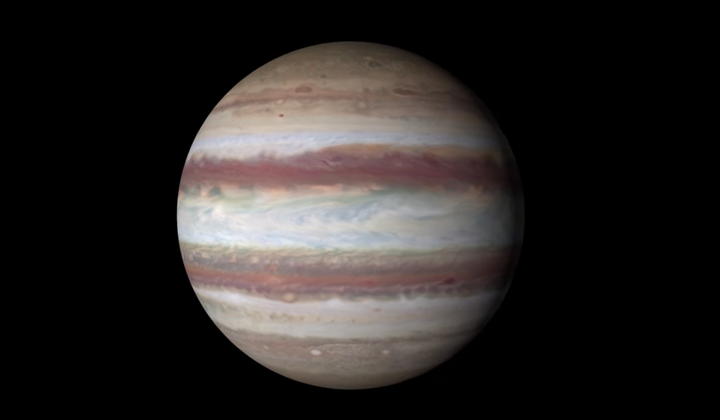 Watch this ultra high-definition video of Jupiter made by Hubble Space Telescope images taken each year. You can see that the Great Red Spot is getting smaller and more round--scientists measured that the long axis of the storm is about 150 miles shorter than it was in 2014. There’s also a rare wave in the northern latitudes, first seen by Voyager 2. These baroclinic waves only appear when they propagate above the clouds.